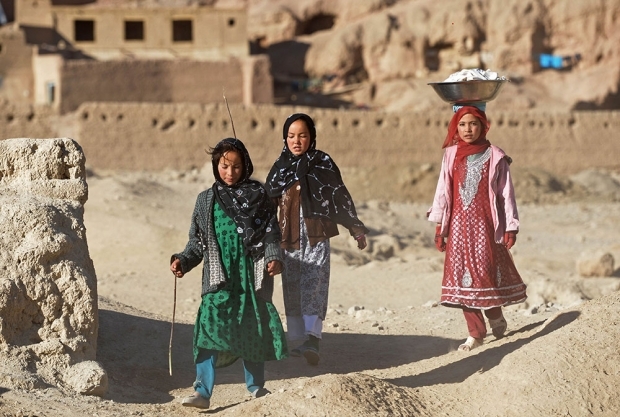 Girls, from the Afghan ethic group the Hazara, walk in the city of Bamiyan, some 115 miles northwest of Kabul in central Afghanistan. This city was once connected by the former Silk Road that linked China with Central Asia and beyond. Xi’s visit comes as other major powers have launched economic integration projects in Eurasia. Russia launched the Eurasian Economic Union in January and the United States is plugging its own infrastructure project, the “New Silk Road.” But Beijing has outshined both countries in investment and execution. Now both Washington and Moscow are trying to hitch their wagons to China’s massive project. Foreign Policy has put together an interactive guide tracking Beijing’s victories and obstacles along the new Silk Road. The list of participating countries is still not finalized, but with China forking out billions in trade deals and preferential loans, its appeal as an economic benefactor is only set to grow.